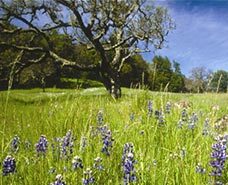 Audubon Canyon Ranch is proud to join its five partners in the Sonoma Valley Wildlands Collaborative (SVWC) as recipients of a one million dollar grant from CAL FIRE. 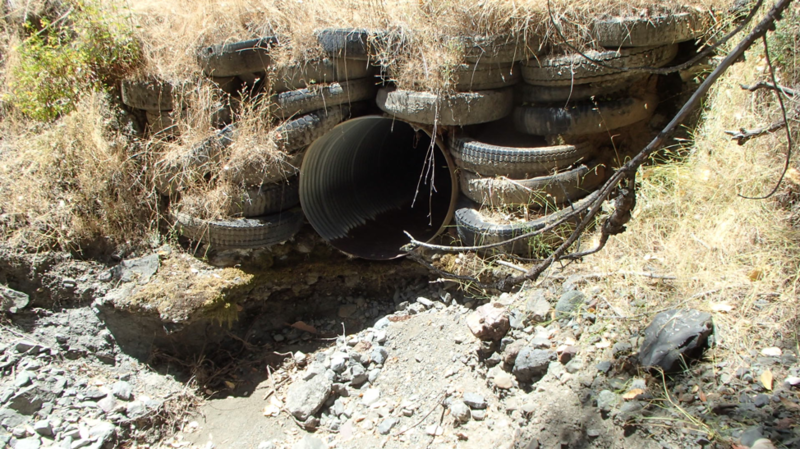 Together, this group of public agencies and private landowners manages property totaling over 18,000 acres in the Sonoma Valley. 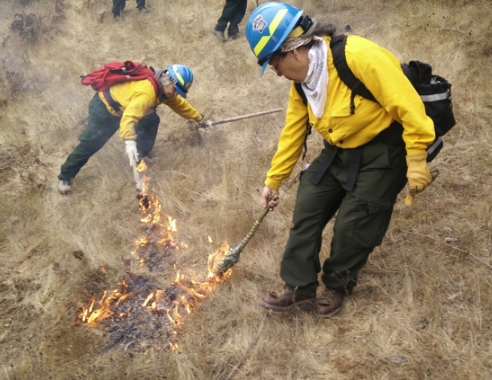 Funding will support partner efforts on fuels reduction and vegetation management, including the use of prescribed fire, to enhance ecological health, reduce the risk of wildfire, and protect our communities. In the natural world, once you start to see a thing, you cannot stop seeing it. I first realized this fact as a child, while learning to forage for chanterelles in the East Bay hills. At the time, I called it “mushroom eye,” referring to how anything bright orange in the woods would immediately snap my attention to it, even while traveling at 35 mph on country roads. “Mushroom eye” is a positive attribute. Unfortunately, the same visual attribute can apply to invasive species, such as the ever-present yellow blooms of French broom or aggressive seedlings of Douglas fir. While zigzagging down country roads, I find my thoughts constantly distracted by invasive species. 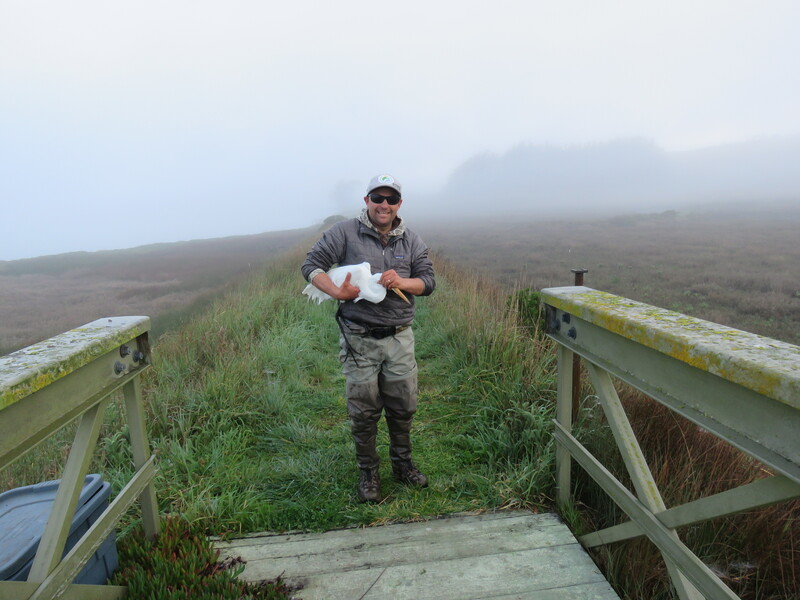 We were not 20 minutes in to this year's Great Egret tagging season when the team welcomed Egret 11, a splendid member of the ardeid family and a top predator who enjoys foraging near ACR's research center on the edge of Tomales Bay. We will now follow GREG 11 via a small solar-powered GPS backpack. GREG 11 joins ten other birds we have tracked as far south as Mexico as part of the first study of its kind in the Western U.S. 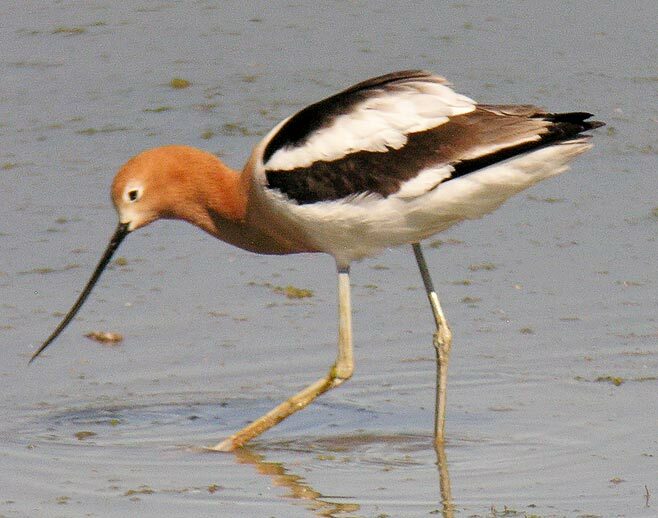 Some of the birds who traveled to the Central Valley during the winter have returned to the West Marin area. 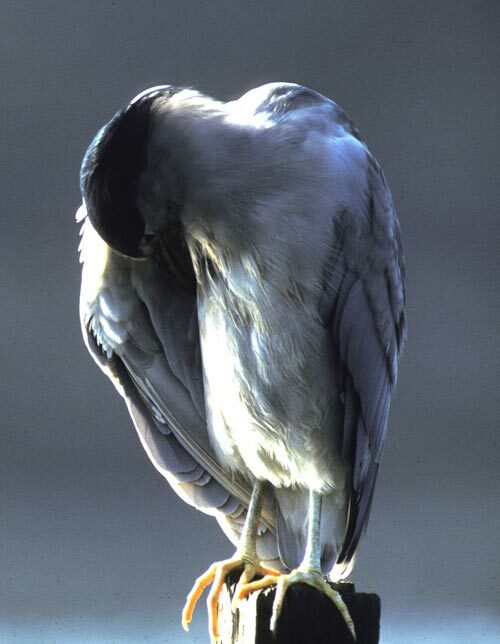 Great Egrets are at the very beginning of the nesting season right now, and are just starting to prospect nesting sites within Bay Area colonies and begin nest construction. 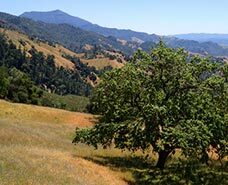 Audubon Canyon Ranch has joined with other conservation organizations and public land managers to form the Sonoma Valley Fire and Vegetation Management Collaborative. Here's an overview of The Collaborative and the work we will undertake. Who are we? 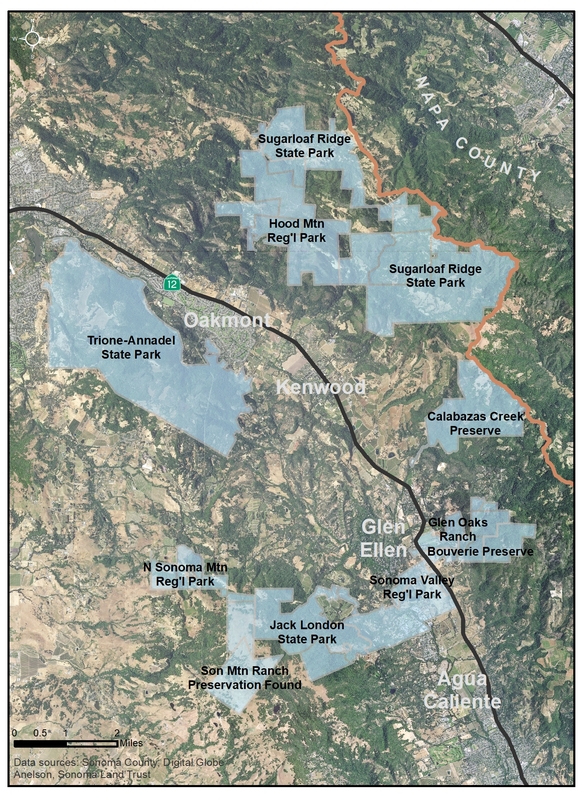 We manage 18,000 acres of protected Sonoma Valley lands. We are a group of six conservation organizations and land management agencies that began working together in the wake of the devastating Nuns Fire of October 2017. Collaborative members have agreed to coordinate fire and vegetation management with each other and with CAL FIRE’s Sonoma Lake Napa Unit (LNU) in the Sonoma Valley region. 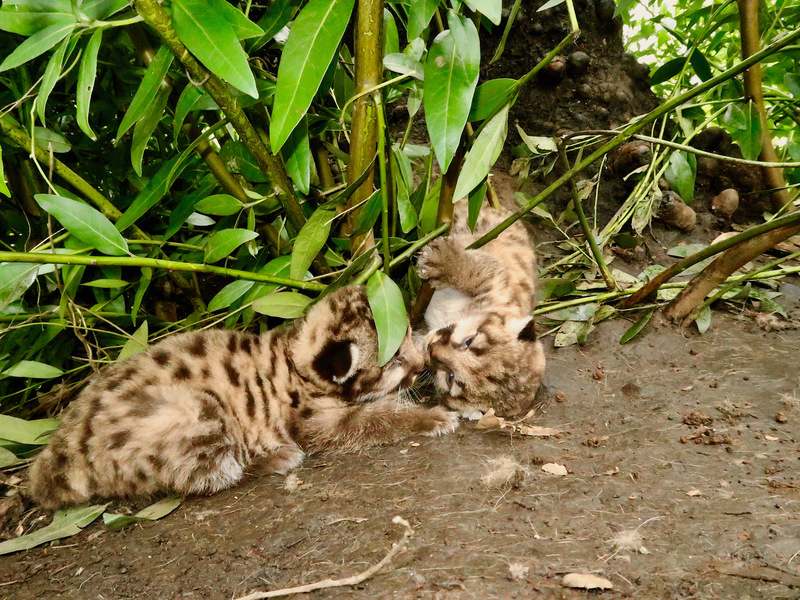 Our Living with Lions team this week shared the exciting news that two mountain lion kittens were born at Trione-Annadel State Park in early February to a female mountain lion being tracked by ACR’s research study. This marks the first litter delivered by a 3.5-year-old mama cat (named P11 for the study), who in September was captured and fitted with a GPS-tracking collar just outside the park’s boundary. 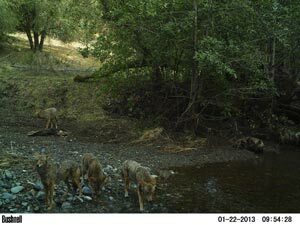 “This news underscores the critical importance of Trione-Annadel State Park’s habitat for local wildlife populations. 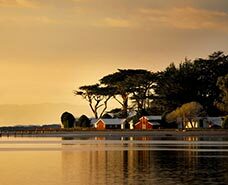 In managing our State Parks, we strive every day to balance preservation of natural resources with recreational access,” said Cyndy Shafer, Natural Resource Program Manager for the Bay Area District. 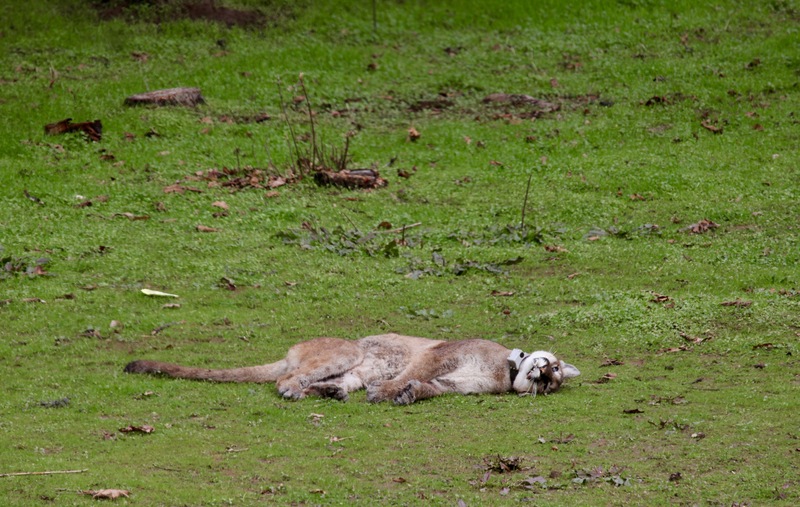 We greatly regret to report that mountain lion P15 (called Jupiter) was shot February 9, 2019, four days after he was collared as part of Living with Lions, a CDFW-permitted study trying to understand the movement and behavior of these top carnivores of the North Bay region. P15 was a 13-month-old male lion recently dispersed from his mom, who is most likely P4, a female big cat also being tracked by the study. On February 4, the uncollared cat attacked an unsecured goat in the Mt. 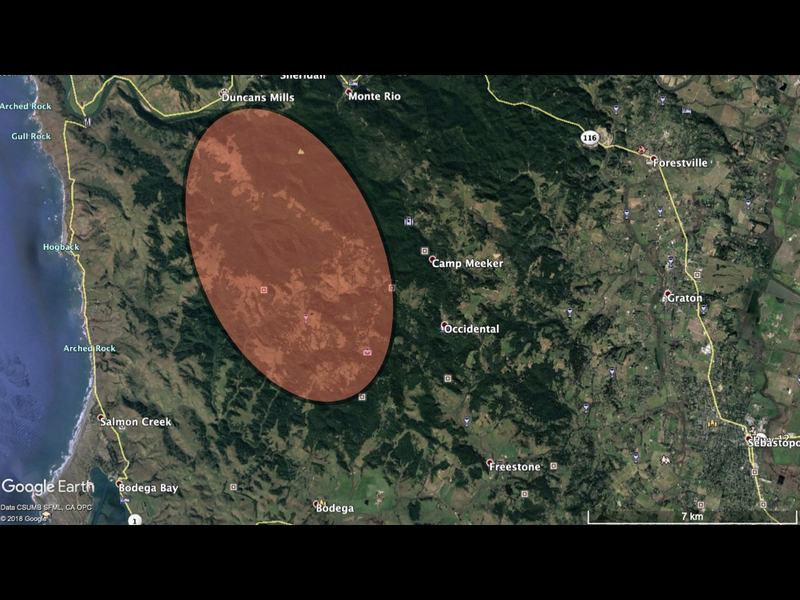 Veeder area of Napa County. 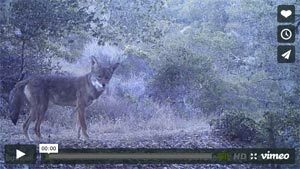 After connecting with CDFW, law enforcement and wildlife rescue organizations, the landowner contacted ACR to have the cat collared for research instead of killed under a depredation permit. 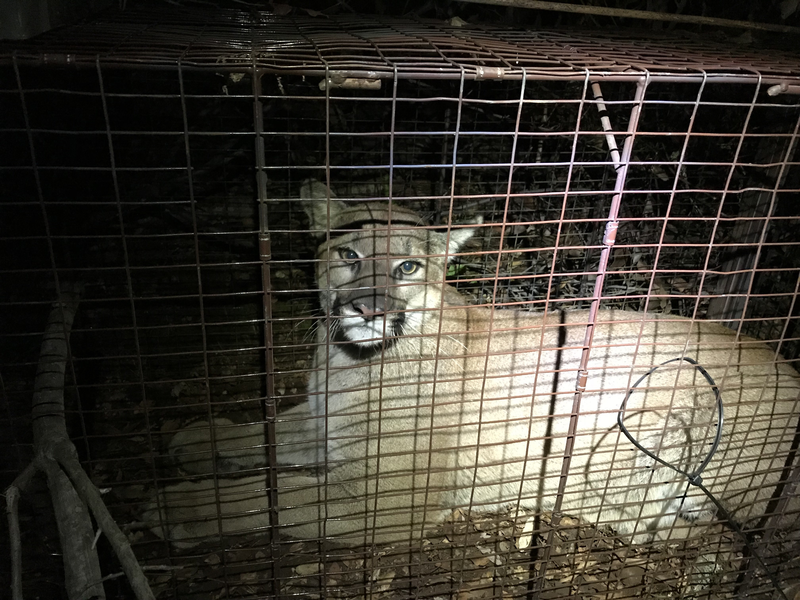 Dr. Quinton Martins and the Living with Lions team expanded the scope of our project last week with the capture and GPS-collaring of mountain lion P14 in the West County area of Sonoma County. His capture and collaring was preceded by his predation of 2 adult llamas owned by ranch owners Paul Matthews and Maria Cardemone. 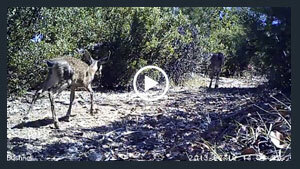 Rather than seeking a depredation permit against this lion, Paul and Maria called us and agreed to allow us, as per our recent California Department of Fish and Wildlife permits, to collar this animal and learn more about its behavior. The new year finds me with much to be thankful for—from my exciting, new job with ACR as a Prescribed Fire Specialist to spending the holidays with friends and family. I’m especially grateful for the experience of the 2018 Yurok TREX (Training Exchange), hosted by the Yurok Tribe. On the Klamath River in northernmost California, they shared their cultural fire and land management practices. On our first morning on the reservation, Bouverie Resource Ecologist Jared Jacobs and I watched the mist on the mighty Klamath River. It drifted up to meet the light rain falling on the forest. 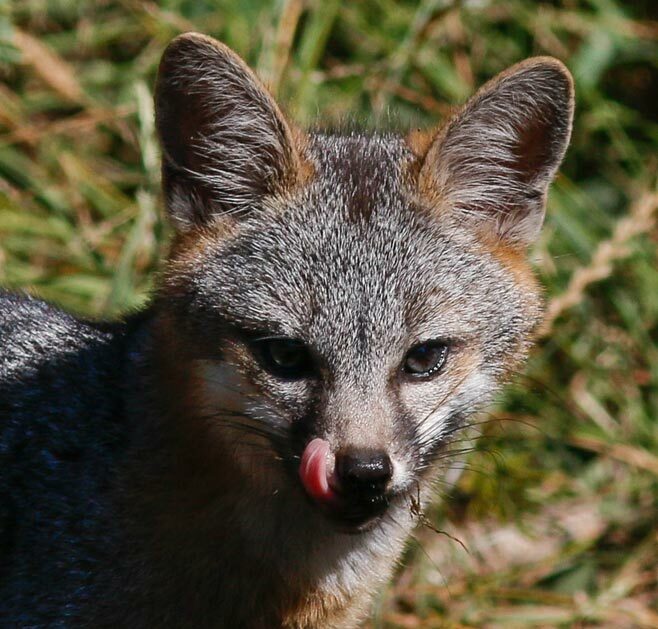 On December 13 we captured young adult male, P13, in the southern Sonoma Mountain area, west of El Verano. P13 was the first male lion to go into the smaller version of my walk-through traps. This is the standard Tru-Catch height and width that P5 kept going around, but that we had caught females in. My other traps are 4” higher and wider and have worked for males and females. Will be interesting to watch this young male, who is living within the territorial range of P5. Will he remain under the radar, avoiding conflict, will he try to leave the range, or will he confront P5 in coming months? Nobody goes into land conservation expecting to keep their hands clean. ACR staff and volunteers will tell you stewarding our preserves is dirty, sweaty and backbreaking work. But they’re not complaining. It’s also very satisfying to tear out invasive plants, replant native flora and undo other man-made habitat damage. These unglamorous but important jobs dovetail perfectly with our more far-reaching research efforts. 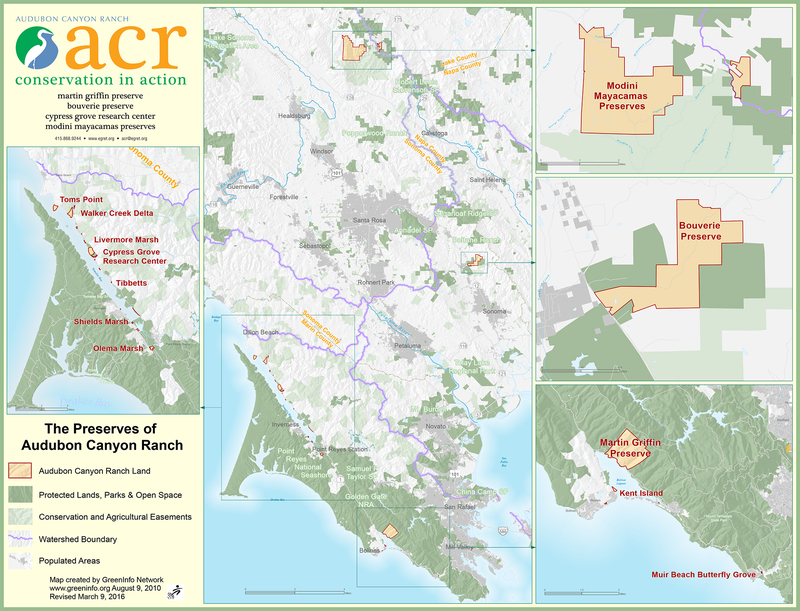 In other words, ACR’s success depends on a symbiotic relationship between habitat restoration and ecological research. Each supports the other. 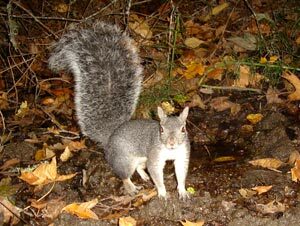 We strive for ecologically healthy preserves so wildlife can flourish here. 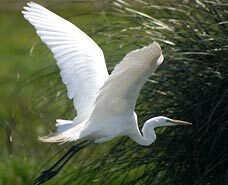 When the habitat is rich with food, water and shelter, it attracts egrets and the other animals we study.